Now, first a confession; I haven’t read Russel’s first novel ‘The Good Son’. But, on the strength of this novel, I’ll be seeking out a copy very soon as he’s successfully planted the PI genre in the seemingly unlikely location of Dundee with this cracking noir tale. I had the good pleasure of chatting over a beer with Russel at this year’s Harrogate Festival where, like many of the authors present, he was there in dual capacities of author and crime fiction fan. A couple of months down the line and via the power of twitter, he kindly agreed to send me a copy of the new novel to have a read of, signed with the comment that ‘This vision of Dundee is probably not endorsed by the Tourist Office!’, and I think he’d be right about that. The Dundee in which his first person PI J.McNee walks the dark streets, is very dark and fully laden with secrets and those who hold them close. 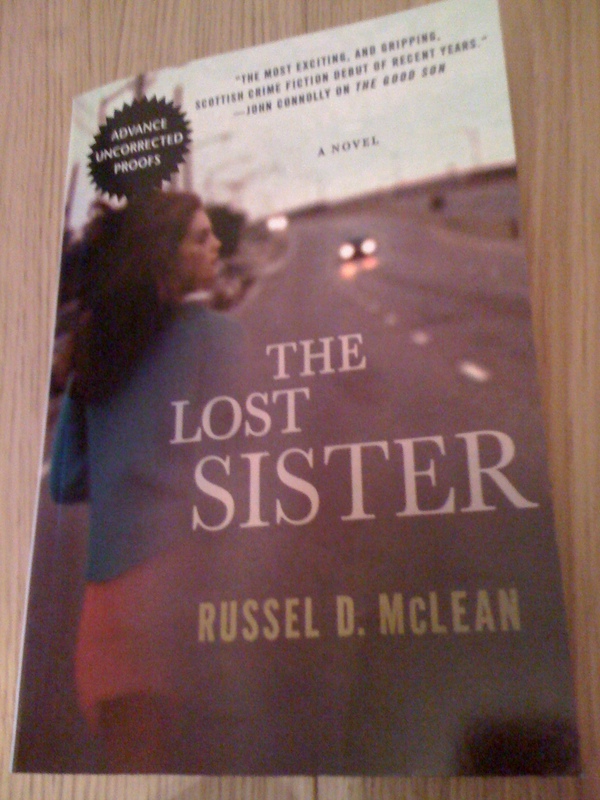 McNee takes the case of missing teenager, Mary Furst, somewhat unwillingly as a favour to begin with, but then as in many a great noir PI novel he finds himself in deep and unable to walk away as the secrets and lies within and surrounding her family begin to unravel. With a wicked sense of humour in places, such as the comment McNee makes that PI’s like him are often played as grizzled characters by Ray Winstone on tv, this is modern noir of the highest order. McLean has given us a likeable new PI, and this book delivers on every level with its great mix of emotion, mystery and thrills.